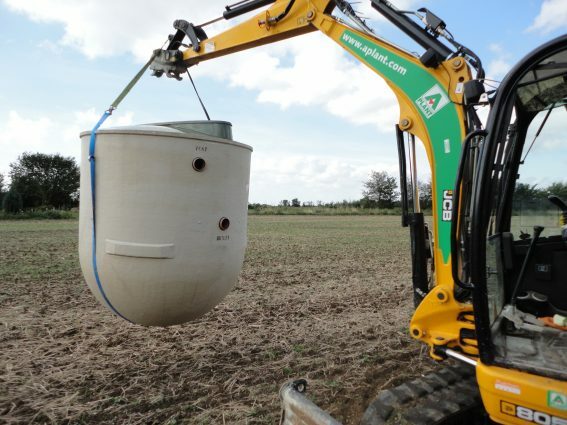 As established installers Infinity Environmental Limited are trusted by hundreds of customers in wastewater management, to make us East Anglia leading sewage treatment plant installers. 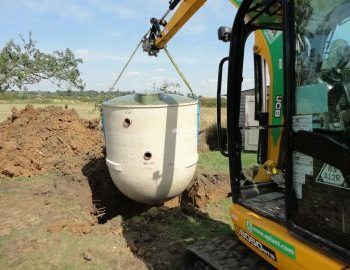 From simple repair to complete new package sewage treatment plant installation our design service is bespoke to your project requirements. We can recommend the best products on the market being independent installer’s we are not tied to any one manufacture and therefor offer the most competitive price on the market. Our free site visit is available for all new sewage treatment plant systems offering comprehensive written quotation for the best-off mains drainage solution available to you. 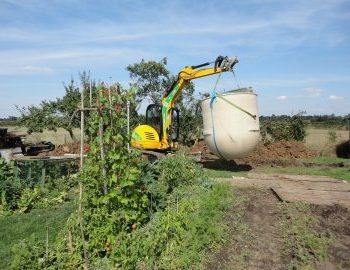 If you are looking for independent installer of package sewage treatment plants in East Anglia, please call the specialists on 01206 890222 or take further look at our case study below for a sewage treatment plant installation we have undertaken. 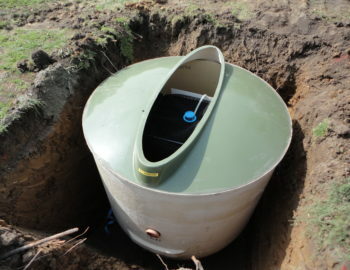 Domestic Package Sewage Treatment Plants. All sewage treatment plants are based on the same principle: to create the right environment for aerobic bacteria to be produced. The addition or presence of air creates microorganisms to break down the sewage, with various treatment and settlement zones. The effluent quality from most leading manufacturers is 95% or above clean water through the various stages of sewage treatment. The effluent from sewage treatment plant can discharge to watercourse if compliant to Environment Agency requirements or discharge can be made by soakaway if ground conditions are suitable. EN12566 – 3 tested to the latest standard. 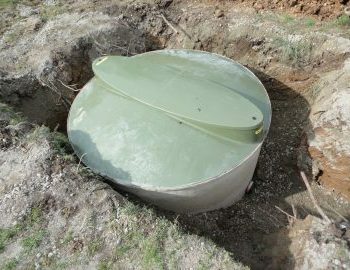 We were contacted through the website by homeowner regarding failing septic tank serving domestic property in Colchester. We discovered the exsiting soakaway was failing causing the level within the septic tank to be higher than normal therefore the drain run was backing up towards the property. 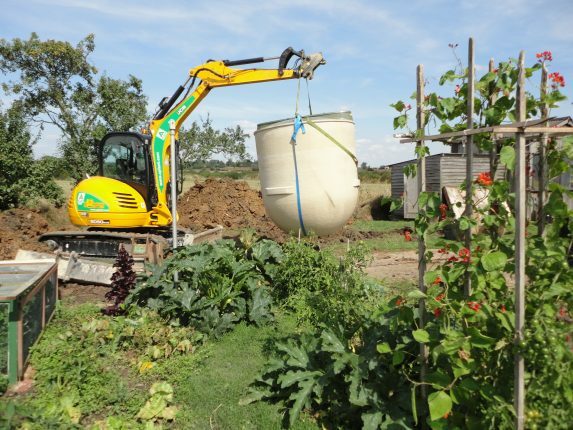 We looked at replacing the soakaway on the exsiting septic tank but results from percolation test indicated new soakaway would not be possible from poor ground conditions. On the boundary of the property there was ditch tribute to local river which was suitable for discharge from package sewage treatment plant. 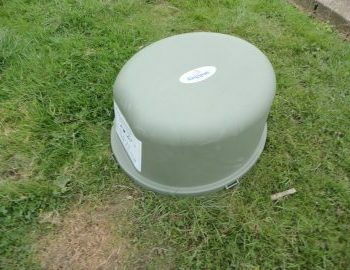 The effulent qaulity from package sewage treatment plant meets Environment Agency standards because the system obtained the latest EN12566-3 standard for effulent qaulity to comply with the ‘General Binding Rules’ introduced in January 2015. 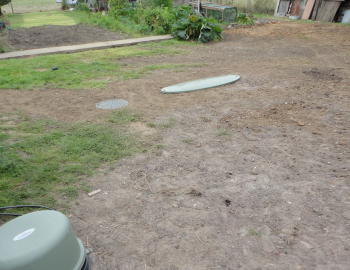 Prior to installation all underground services were located with cable avoidance tool, trail holes were dug in several locations to locate electric supply running across the farm yard. Dig down by hand to intercept the incoming drain run, transfer old clay wear pipe to new modern PVC pipework, and redirect the drain run to new package sewage treatment plant. Depth of sewage treatment plant excavation was determined by the drain run invert, excavation was sized to manufacturers specifications, and concrete back fill to surround tank. Electrical supply was trenched from the farm to the sewage treatment plant control panel. The power supply runs the air blower for treatment and pumped outlet to elevate effluent to the ditch. Sample point fitted before discharge to comply with the Environment Agency requirements, Head wall fitted on the bank of the ditch to stop erosion from discharge, re-established excavations to leave neat and tidy, with seeded finish. On completion of the new package sewage treatment plant went through final checks before issuing commissioning certificate. Further to building inspector looking at works at various stages a completion certificate of works was issued by the local council. It offers the customer reassurance the works carried out comply with the latest building regulations and high standard of work carried out by Infinity Environmental. We liaised with all local authorities on the customer’s behalf from discharge consent to building regulations approval.